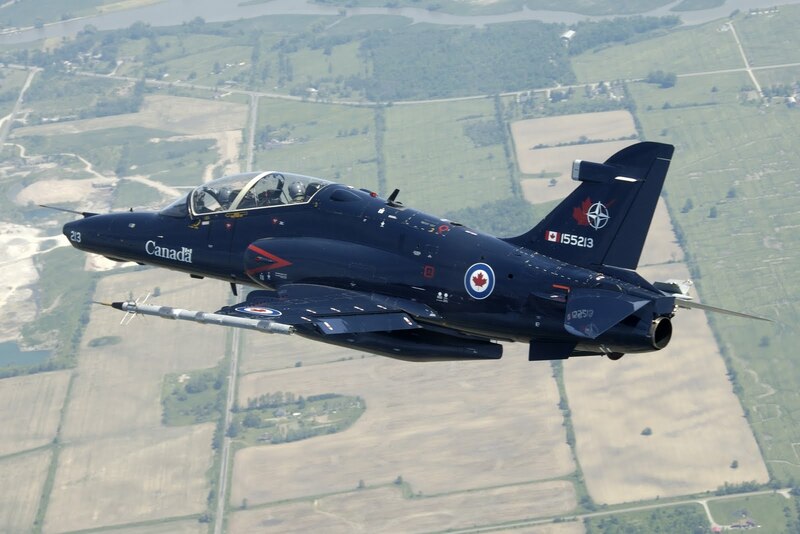 The BAE Systems Hawk is a British single-engine, advanced jet trainer aircraft. It first flew in 1974 as the Hawker Siddeley Hawk, and subsequently produced by its successor companies, British Aerospace and BAE Systems, respectively. It has been used in a training capacity and as a low-cost combat aircraft. Operators of the Hawk include the Royal Air Force (notably the Red Arrows aerial display team) as well a considerable number of foreign military operators. The Hawk is still in production in the UK and under license in India by HAL with over 900 Hawks sold to 18 customers around the world. In 1964 the Royal Air Force specified a requirement (Air Staff Target (AST) 362) for a new fast jet trainer to replace the Folland Gnat. The SEPECAT Jaguar was originally intended for this role, but it was soon realised that it would be too complex an aircraft for fast jet training, and only a small number of two-seat versions were purchased. Accordingly, in 1968, Hawker Siddeley Aviation (HSA) began studies for a simpler aircraft, initially as special project (SP) 117. The prototype aircraft first flew on 21 August 1974. All development aircraft were built on production jigs; the program remained on time and to budget throughout. The Hawk T1 entered RAF service in late 1976. The Hawk 100 is a two-seat advanced weapons trainer variant of the basic Hawk with additional avionics, an optional forward looking infrared, a redesigned wing and HOTAS. Hawk 100 customers can have the aircraft's avionics and cockpits configured to their specifications to match their particular combat aircraft, giving their students as comprehensive a training environment as possible. Upon opening the top-opening box, you are confronted by five large sprues of light grey plastic parts, one clear sprue, a fairly thick instruction booklet, a small PE fret and a sheet of decals which almost fills the bottom of the box. All of this is packed very tightly into the box; there's not much risk of anything rattling around in there. The parts have a slightly satin sheen except for some of the interior parts. There is a tiny bit of flash on a few parts, but nothing that will hinder the usual cleanup that needs to be done before assembly. A paint chart is offered for Vallejo, Model Air, Mr Color and Italeri Acrylic. According to the chart, only Vallejo provides all the colours called for, thus rendering the inclusion of the other ranges somewhat questionable. Colour callouts in the instructions are given using Vallejo codes only. Reference to a paint conversion chart is needed if you prefer other brands of paint. The clear parts are in their own separate bag, which helps to prevent them from being scuffed. They could still benefit from a dip in Future. The Canopy detonating cord is engraved into the inside surface of the canopy. The details are a mixture of very crisp rivets and panel lines on the exterior, and slightly soft interior details. It's fairly obvious that Kinetic is expecting the aftermarket industry to cater to those who love superdetailed cockpits. There are 6 small detail photos of an RCAF Hawk on the box side, courtesy of Thomas Sime and Rick Chin. The whole kit is somewhat reminiscent of their earlier T-45 Goshawk, but there are not very many ways to engineer a model of a Hawk so this is no real surprise. The fuselage is provided in left and right halves. The cockpit is well appointed, yet Kinetic have obviously allowed for the aftermarket to supply the finer details given that the instrument panels are only equipped with blank outlines of the instruments and MFD displays. Panels are offered with MFD displays. Consult your references to be sure the instrument panel configuration will be correct for your subject; the Hawk 100 fleet is very highly customisable and different customers asked for differing avionics. At a minimum, separate jet instrument decals should be found. The instructions do not show the instrument panel faces, which will require some study of available photos in order to do the kit justice. The detail on the side consoles is slightly raised and should look good when painted and there are separate throttles. The bang seats are likewise nicely shaped, but a bit basic. The instructions for the etched brass harnesses are a bit confusing, most notably in the complete lack of mention of part PE13 even though it is drawn on the seat. Separate references on the Martin Baker Mk. 10 will come in handy. The very prominent warning labels and data plates on the seat headrests are not offered on the decal sheet. Perhaps the most startling element is the complete intake trunking. Filling those seams is going to be a challenge and a half. The instructions do not point out whether nose weight will be needed. There is sufficient room in the nose and under the rear cockpit. The speedbrake is separate, and may be posed open. The base of the pitot tube has sink marks on either side which will be a challenge to fill without breaking it. The wings offer the option of raised or lowered flaps. The lower wing surface is one piece from tip to tip, and the upper halves one piece for each side. The wheel wells are made up from separate sidewalls which must be glued into the upper wing inside before cementing the wings together. The instructions for the landing gear doors are slightly confusing so pictures should be studied before committing any parts to glue. There is a large centreline fuel tank. The wingtip missile rails may be fitted, or optionally replaced with aerodynamic fairings. Two sidewinders are offered to hang on the rails, but the often-carried ACMI data pod is not. It may be possible to convert one of the Sidewinders into the pod. The engine is represented by a compressor face to close off the intake trunking, and a short exhaust section which mounts in the rear fuselage. In this scale it will be important to properly fill the seams, as otherwise they'd be very visible. The horizontal stabilisers are each one piece, and have a fairly substantial locating tab which mounts into a representation of the tailplane pivot which in turn attaches to the rear fuselage. This means that to pose them deflected requires a small bit of surgery. They're most often seen in neutral, so the decision to pose them is not likely to be taken. Separate SMURFs (Side Mounted Unit Root Fin)s are offered. These need a slight bit of cleanup. There is no head-on diagram showing the anhedral angle the tailplanes should mount at. The mounting tabs are angled, but it's easy to make a mistake and ruin things. The instructions would have you install the nose leg into the nose wheel well before buttoning up the fuselage. It appears as though it will be possible to glue it in afterwards, to prevent damage while building. The main gear legs are one piece, with separate retraction arms. The wheels have separate hubs, but the advantage this usually gives for painting is lost by the requirement to trap the hubs between the wheel halves while assembling them. The instructions would have you build the wing and landing gear as one unit which then gets offered up to the fuselage. This may cause problems and it may be wiser to leave the gear off until after the wing has been glued to the fuselage. The main gear legs have some fairly prominent sinkholes which will have to be filled before assembly. Complete sets of stencils are offered for all versions, except for the aforementioned ejection seat markings; a real noticeable lack in this scale. An RCAF Hawk carrying an ACMI data pod and Sidewinder acquisition round. This is a good kit, but not suitable to a beginner. You should have a few models in your experience and be happy with doing your own research to supplement the instructions. Lows: Simplified cockpit parts cry out for replacement, instructions could be clearer. Our Thanks to Kinetic Model Kits! Jessica, thanks for the review, I have been eyeing this kit for sometime. It looks like it may be worth the pickup. I've got the 1/48 Goshawk put together now and it's got a similar level of detail. When it's carefully painted it looks acceptable, but there's definitely room for super-detailed aftermarket parts which will make it look spectacular.